Build a system that will last the life of the roof, with utility solutions from S-5!. Don’t let others violate your roof warranties. Our solutions preserve the roof integrity while protecting it from corrosion, leaks or rust. Check out the features and benefits of our GRIPPERFIX Rail. A roof avalanche can dump tons of snow onto anything in its path - damaging landscape, gutters, adjacent roofs, vehicles and cause injury or death to passers-by. S-5!’s snow retention systems dramatically reduce these risks associated with rooftop avalanches while maintaining the clean lines of the roof. No adhesive-mounted plastic snow guards to be found here! Our own load test failure data has shown it can take up to 10 plastic parts to equal the strength of just one row of our ColorGard® system. Metal roofs have a life expectancy of more than 40 years. Shouldn’t the mounting system last as long? S-5!’s zero-penetration attachment technology combined with our new and improved PV Kit 2.0, offers the most sustainable system available – without compromising roof warranties! Check out our installation video here. Prevent multiple modes of failure (including clip disengagement (when used at a clip location). 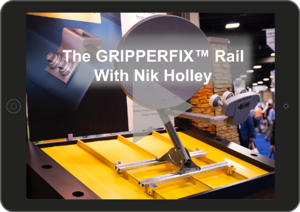 Watch our GRIPPERFIX Rail installation video. 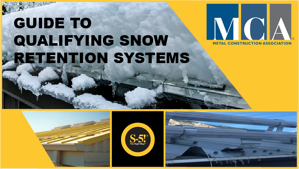 Learn more about how to choose the right snow retention solution. Did you know that S-5! offers 5 different snow retention solutions? 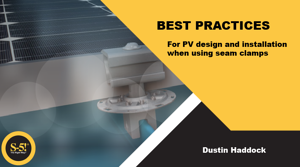 Want to know more about the best practices for PV design and installation when using seam clamps? Learn more about how the highest solar array connected to the grid was built to withstand winds up to 163 mph and uplift force of more than 50 psf.